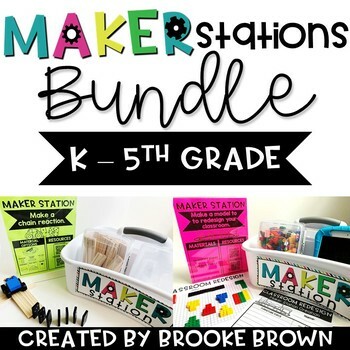 This bundle includes 40 differentiated Maker Stations for Maker Spaces with both a K-1st Grade version and 2nd-5th Grade version. 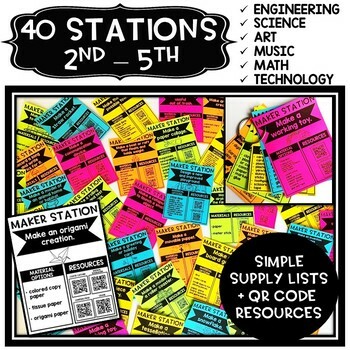 Maker Stations provide targeted design thinking and space-saving solutions for elementary classrooms and media centers. They allow for a creative Makerspace atmosphere, emphasizing skills in engineering, art, math, science, technology, and music. 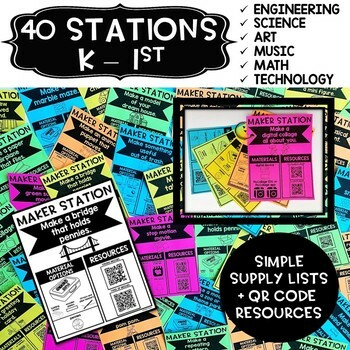 40 differentiated Maker Station options are provided with supply lists, instructions, QR code resources, and student planning/reflection templates. 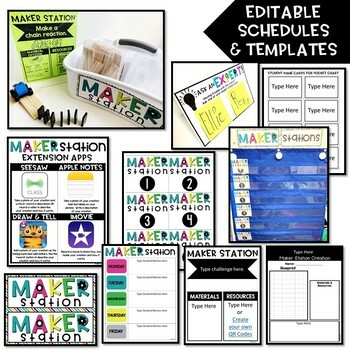 Common arts and crafts materials and STEM Bins are suggested for each station and can fit inside a large utility caddy.